I would like to learn more about 25 Bloomfield Tr. If you’ve answered yes to any of the questions above, then you’ve come to the right place! 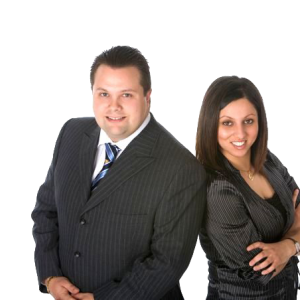 We have a passion for assisting clients with various real estate needs. We are a trusted and well trained professionals who strive to provide you with the best solution. Clients are impressed by the dedication and effort we put into making sure that they receive top quality service and amazing results. Explore our website to find detailed listing information, buying guides, selling guides and other features that suit your real estate requirements. Discover why we love real estate and why we the best choice for you. New Price!! !Fully Detached South Facing Bright & Sunny Home In The Heart Of Richmond Hill, On A 50X110 Feet Lot. Some Of The Best Schools In The Catchment Include Bayview Secondary And Walter Scott Elementary School. Walking Distance To Go Train, Public Transit, Banks, Shopping And Most Amenities. A Very Well Maintained Home In The Heart Of Richmond Hill With 3 Generous Sized Bedrooms, Large Eat In Kitchen, And A Finished Basement. Huge Living Room & A Dining Room With A Walk Out To Balcony. Finished Basement Can Beused As A 4th B/R Or A Home Office. W/O To A Private Backyard. Parking At 200 Bloor Street W, Bloor And Avenue. Must Be An Owner In The Building. Almost New Home!! 5 Minute Walk To Islington Subway!! 5 Minutes!! Open Concept!! Modern Finishes & Design!! Needs A Few Things At This Price!! \"Great Room\" Backing Onto A Spacious Fenced Backyard!! Finished Basement!! Private Drive!! Detached Garage!! Great Schools!! Walk Score Of 79!! Show & Sell!! ** Great Curb Appeal Elegant Home In An Exclusive Family Neighborhood, Practical Floor Plan Spacious Principal Rooms. Dream Kitchen.... Granite Counter, Tall Cabinets, Centre Island W/Wine Rack. B/I Writing Desk, China Cabinet, Pot Lights, Moldings. Circular Dark Oak Stairs & Iron Pickets. Over Sized Picture Windows! !